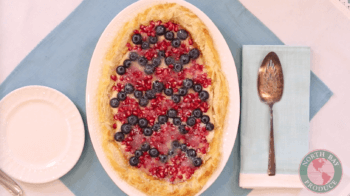 These colorful Mother’s Day recipes will brighten mom’s special day. 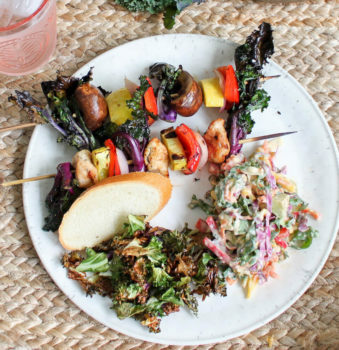 Chicken and Lollipops Kabobs, Salad Savoy Southwestern Slaw, and Air-Fried Salad Savoy Chips. 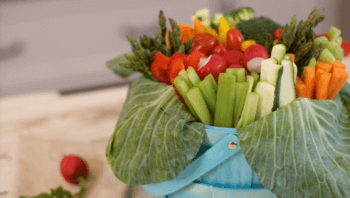 Make mom’s heart bloom with this beautiful Mother’s Day vegetable tray. 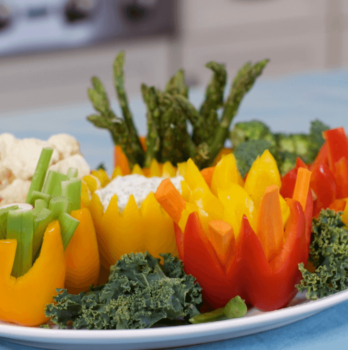 This 3-D veggie tray makes an impressive (and yummy!) centerpiece for the table. 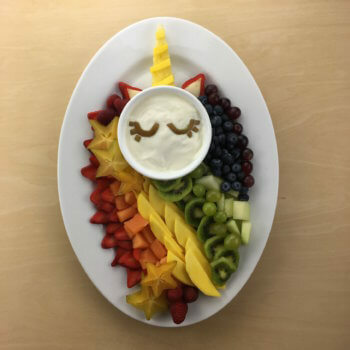 Bring some magic to the day with a Unicorn Fruit Tray! This magical fruit platter is perfect for a child’s birthday party or St. Patrick’s Day. Video tutorial and step-by-step instructions. 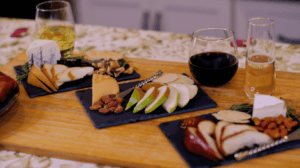 Impress your holiday guests with your perfect selection of wines, cheeses, & pears. Pear and cheese tray ideas that will elevate your Christmas and New Year’s Eve parties. Customize your own holiday gift basket and give the ultimate holiday gift this season. 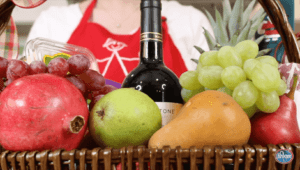 Find great Christmas gift basket ideas and watch a video tutorial on how to build your own gift basket. If you’re looking for some new dishes to add to your holiday entertaining menu, look no further! 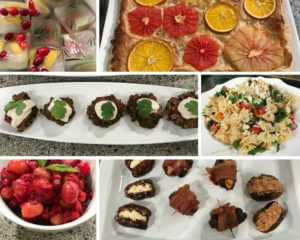 Today on Indy Style, I showed you several easy recipes that are perfect to serve at any holiday party. A vibrant citrus salad for a cold winter’s day! This Apple and Citrus Salad is bursting with bright flavors and colors. Serve it on Christmas day and add a light and colorful dish to the table. 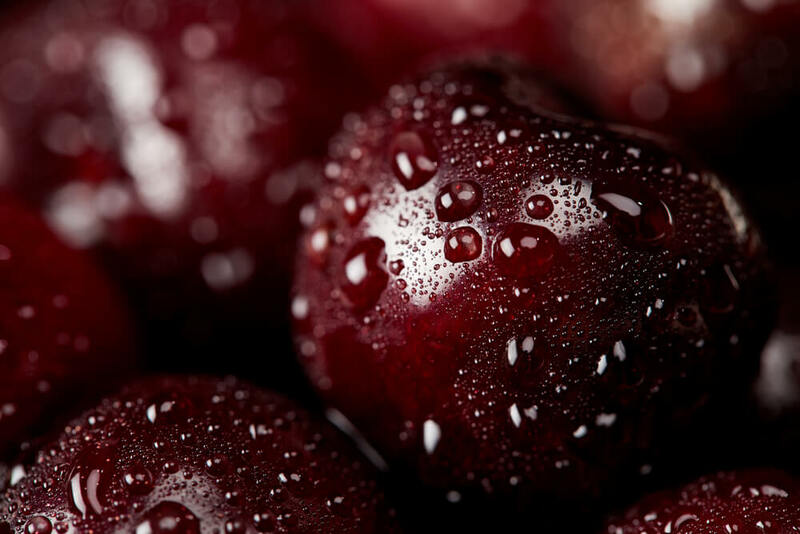 Its crisp flavors will help bring balance to your holiday meal which is most likely composed of heavier dishes.